Planning Your Year – Setting Goals For A GREAT 2010! The following is adapted from Brian Tracy’s blog. I receive an email everytime he has a new post. I suggest that if you haven’t already, SUBSCRIBE to a great leader, or leaders’ blog(s) and learn all you can! There has never been a better time in all of human history to be alive than today. There are more opportunities for you to accomplish more things, in more different fields, engaging in more different activities, than have ever existed before. Resolve today to make 2010 the very best year of your life. Resolve today to draw a line under your past and to focus very clearly on your future. Resolve today that you are going to set goals, make plans, take actions and achieve more in the coming year than perhaps you have ever accomplished in any one single year before. As it happens, everyone has goals. But some people seem to accomplish their goals far more systematically and with greater assurance than others. Why is this? The answer is simple. People who accomplish goals at a higher rate than the average are people who use a systematic, proven method of goal setting and goal attainment. Perhaps the two most important qualities of success are focus and concentration. Focus means knowing exactly what it is you want and concentration means having the discipline to concentrate single-mindedly on one thing, the most important thing, until it is complete. If you have these qualities, and both of these qualities are learned through practice, you can accomplish virtually anything. There are no limits on your future if you can focus and concentrate every hour of every single day. The one quality of men and women who become leaders in their own lives and societies, throughout all of history is the quality of vision. They have the ability to visualize. They can see the future well in advance of it becoming a reality. They can then see the steps that they will need to take to get from where they are to where they want to go. So if your next twelve months were ideal, in every respect, what would happen or, what would have happened, at the end of that twelve month period? You need to set goals that are multi-dimensional. You need to set goals for every part of your life so that you function like a well-oiled machine, like a balanced wheel that goes around smoothly in every respect. You need goals for your health, for your career, for your finances, for your relationships, for your personal and professional development, for your community and for your spiritual growth. Nothing happens by accident. Everything happens for a reason. And you are the “primary creative force” in your own life. You are the reason. Things are happening in your life because you make them happen, not because you sit around and wait for them to happen. Here is the basic seven-step model of goal setting. You can use this like breathing in and breathing out on a regular basis to accelerate your attainment of any goal you can imagine for yourself. Step number one is for you to decide exactly what you want. This immediately moves you into a separate category of people because most people have no idea of what they really want. Clarity is the most important single quality of goal-setting and perhaps the most important single quality of success. Decide exactly what you want in each area of your life. Instead of fuzzy goals like more money, better health and happiness, be specific about exactly how much more money you want to earn in a specific period of time and combine that with exactly what level of health and fitness you desire. Most people are unconsciously preoccupied with the fear of failure. It is the greatest single obstacle to success in adult life. And the fear of failure can work on you unconsciously by blocking you from setting clear specific goals. Why? Well, if you don’t set clear, specific goals, then you can’t fail to achieve them. So your subconscious mind is actually protecting you by helping you to avoid failure. You must resist and overcome this tendency by having the courage to be bold and specific about exactly what you want. Write your goal down on paper. All successful people “think on paper.” And here are two important points. If you cannot write it down clearly and specifically on a piece of paper, then it means that you are not really clear about it yourself. Perhaps you don’t even want it. What is worse, it may be that you are afraid that you may not attain it. Nonetheless, a goal that is written down is merely a fantasy or a wish. A goal that is clearly written and described on a piece of paper takes on a power of its own, it is now something concrete that you can touch and feel and work with. The second principle of writing goals down is that something miraculous happens between the head and the hand. When you actually write a goal down, it is as if you are programming it into your subconscious mind and activating a whole series of mental powers that will enable you to accomplish more than you ever dreamed of. 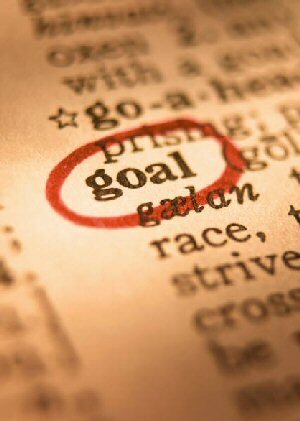 By writing it down you intensify your desire for the goal and you increase your belief that the goal is possible. You begin to expect to achieve the goal and you start to attract people and circumstances into your life that are consistent with the attainment of the goal. 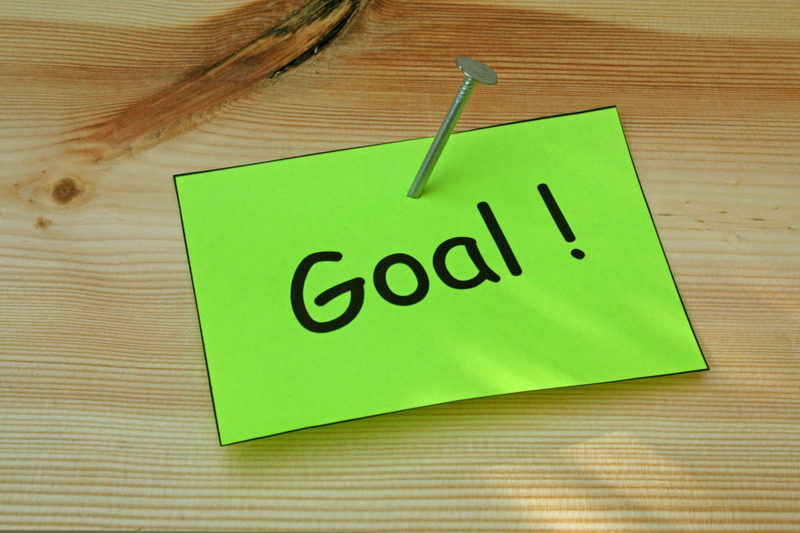 Writing your goal down is one of the most amazing of all goal-setting skills and it is a key to your success. The third step is for you to set a deadline. If it is a large goal, set a series of sub-deadlines. A deadline acts as a “forcing system” on your subconscious mind and begins to move you toward your goal rapidly while it moves your goal toward you. Sometimes people ask me, “What if I set a goal and I don’t achieve it by the deadline?” The answer is simple. Set another deadline. Remember, a deadline is a guess-timate of when you will achieve it. Sometimes you will achieve your goal well in advance of your deadline. Sometimes goals will take much longer than you expect. But you must have a target time before you set off. It is like making a reservation at a restaurant. You may be five minutes early or five minutes late, but you always have a specific time for which your dinner is reserved. The fourth step is for you to make a list of everything you could possibly think of that you will have to do to achieve your goal. The more comprehensive your list, the more motivated you will become, the more intense will be your desire and the more you will believe it possible. One of the things that hold people back is even if they get to the point of a written goal; they do not take the time to lay out a list of all the little things they will have to do to get there. And with additional experience, you will add new items to your list until it finally becomes complete. The fifth step of goal setting is for you to take your list and organize it into a plan. A plan is really quite simple. It is a list organized by priority and importance. You decide what you will do first and what you will do later. You decide what is more important and what is less important. And most of all, you decide upon the one thing that is more important than anything else that you can do immediately to begin moving more rapidly towards your goal. 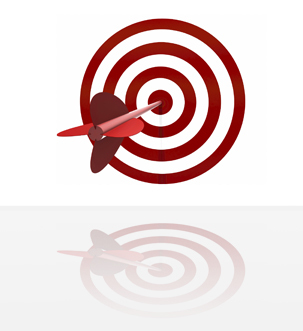 It is when you launch toward your goal that you begin to feel the desire and power that goes along with goal setting. And once you have launched toward your goal, it is much easier for you to continue moving in that direction. Step number seven is for you to do something every day to move you toward your major goal. Never let a day go by without you engaging in some action that helps you move another step in the direction of what you really, really want in life. Remember, you can’t hit a target that you can’t see. And if you don’t know where you are going, any road will get you there. The simple seven step act of deciding exactly what you want, writing it down, setting a deadline, making a list, organizing the list into a plan, taking action on the most important item on your list and then doing something every day towards your goal will change your life and your future in ways that you cannot even dream of today. Share This Blog With A Friend!